Why do you need to design food menu ? As mentioned earlier that your book or food menu can be your Advertising Tool and ultimate suggestion if you want to promote your restaurant. The food menu will explain anything related to your restaurant’s characteristic and represent anything that you want to convey in unique way. In this point, you have to hire professional service to design your food menu in different and unique ways. Hence, if you need restaurant food menu designer Jakarta, you can consider jasafotojakarta.com that help you with anything related to your food menu. Jasafotojakarta.com provides you with variety of photography service as well as designing your food menu in unique results. 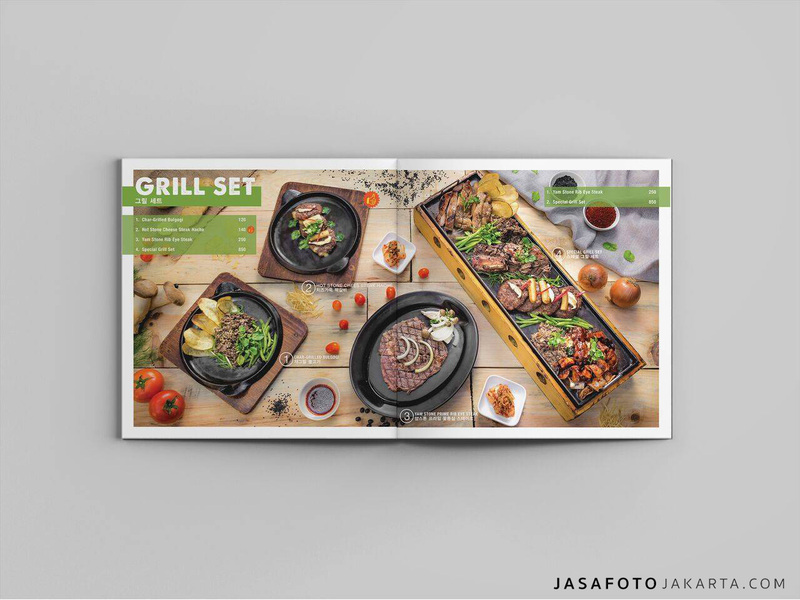 Jasafotojakarta.com helps you to design a food menu that gives distinct impression to your customers as soon as the waiters take it off. In addition, you do not forget to give your brand’s restaurant in a way to make customers always want to go back to your restaurant and start to recommend your restaurants to their friends or families. Jasafotojakarta.com can design your food menu as your best advertising tool as you know how it works properly. Ordering your food menu design is so simple if you are choosing our service. Before you start order, you can check our portfolios through our Official Site jasafotojakarta.com. If you interested, then you can make a reservation immediately via Whatsapp and consult for menu design that you want. Firstly, consult with our team related to food menu that you want. You can check our portfolios first as consideration. Ensure that you discuss the theme that you want with our professional team. Once you know what type of food menu that you want, you can submit the offering, determine the photo date, deal your photo project and list of menu that you want to include. Our professional team will check your menu list and give some recommendations, such as garnish or other things that make your food menu look more appealing and unique. If you want our photographer team take photo shoot in your premises, then our team will go to the location in accordance to the date plan and bringing complete properties for photo session. Our photographer will take a shoot with various properties that enhance the appearance of your food and discussing the arrangement of food menu. After both parties agree with that arrangement, then we start to design your food menu. Our team will complete the project on time, if there is revision that our team will fix it immediately and resend the print dummy of food menu. If you satisfied with its result, we will print the food menu as soon as possible.